When you’re a founder or small business owner, there are times you have to be a chief financial officer, production manager, and art director, all within the space of a morning. It can be keyboard-smashingly tough to be web-developer extraordinaire on top of everything else. But if consumers can’t learn about your brand through a simple Google search or you’re indexing past the first results page, you will be losing sales. Investing in a strong SEO strategy will pay handsome dividends in terms of web traffic, therefore, we want to offer you a few small tweaks that you can make to your site to improve its search ranking and get your hard-toiled content seen by the right people. Google is notoriously secretive about how the algorithm for the 200+ ranking factors it uses to analyze your site actually works, but there are a few well-known best practices that make a significant difference. – Regularly check your pages’ loading times and work on reducing the ones that are approaching three seconds or more. Pro Tip: Submit an XML sitemap to Google, Bing and other search engines to help them to crawl your website better and find the data they’re searching for faster and more efficiently. Google uses lots of factors and clues to determine whether or not your website has trust, a vital metric in its ranking algorithm. Aside from having content that’s regularly updated and high-quality inbound links, there are also specific pages that Google assumes all ‘legit’ websites have. Pro Tip: Security is crucial to earning Google’s trust. If you’re collecting any data at all through your website, you should have an SSL certificate, which means your site will use HTTPS instead of HTTP. If you don’t have one and would like to look into it, The Manifest sets out clear instructions for how to get started. Google rewards companies that are active on the full suite of its products. 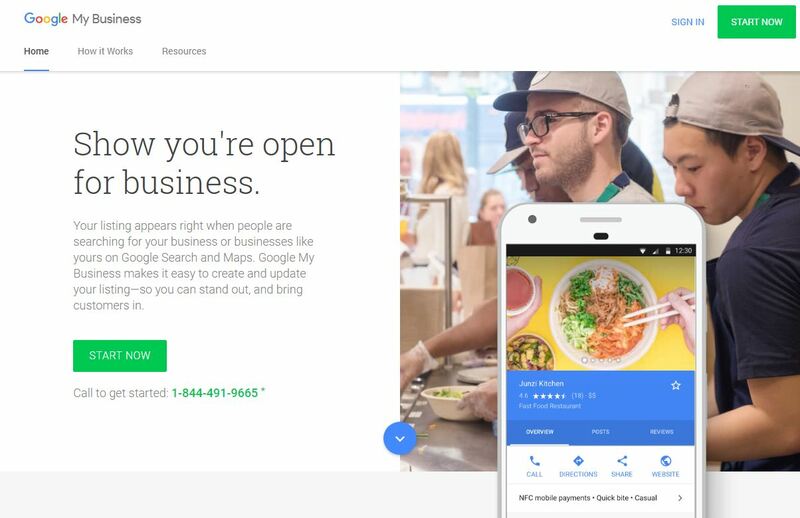 Creating a Google Business Profile page would make sure that you appear in the Google local searches and on Google Maps. The more information you include (images, opening times, menus) the better. The whole thing shouldn’t take longer than 20 minutes. Pro Tip: Use Google Business Review Link Generator to get a shareable link for your customers to review your business to add caché to your profile. Last year, Google rolled out mobile-first indexing, which means that websites are now ranked based on the quality of their mobile sites before their desktop sites. If your site isn’t optimized for mobile, it will rank lower, even on desktop search. Luckily, it couldn’t be easier to find out whether Google is happy with the user experience of your mobile site. Google Console has a Mobile Usability Report option that will show you if any pages need your attention. Pro Tip: Read a full DIY Mobile SEO Guide that shows you how to be mobile-first in 2019. As few as five years ago, we were being told that blog posts shouldn’t run over 500 words because no one would have the attention span to read long-form copy in a 140-character world. Now the average length of front-page ranking content is 1,890 words, and Medium’s Data Lab discovered that the post length that captured the most attention on its platform on average was seven minutes, based on roughly 265 WPM with an adjustment made for images. According to Backlinko, the average Dwell Time for a top-ten Google result is three minutes and ten seconds, so the challenge now becomes to delight users with longer, relevant content. But how do you keep people engaged for that long? – Peppering your copy with bucket brigades, words and phrases that make your visitors want to keep reading by opening up a little information gap in their mind. You might notice lots of phrases like, bottom line?, you may be wondering, here’s the deal, but here’s the kicker when you read articles online; they exist to keep you engaged when you might otherwise drop off. Brian’s video explains in more detail. Pro Tip: Read Backlinko’s full Definitive Guide to SEO in 2019 and start to roll out an SEO strategy. The challenge now becomes to delight users with longer, relevant content.